Creating healthy eating habits from a young age is an essential part of life long health and wellbeing. At The Green Elephant we nourish young tummies with the goodness they need to help your child grow both physically and mentally to their greatest potential. We believe food offered to your child should be wholesome, natural, rich in nutrients, tasty and fun. We encourage children to learn about food, where it comes from and why eating healthy makes us feel so good. We know what an important role nutrition plays in supporting healthy, optimal growth and development, and this is why we have made it our responsibility to provide your child with meals and snacks which are full of nutrients, vitamins and minerals essential for growing bodies and learning minds. 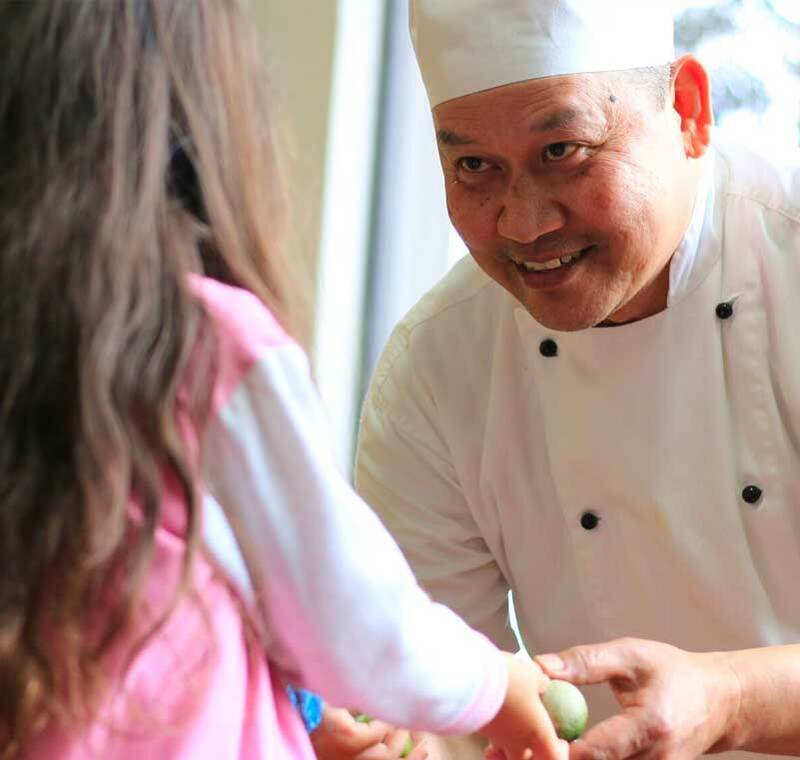 Having our qualified Nutritionist and chefs on board means we can cater for children with allergies and food intolerances such as egg, nut, dairy and coeliac. Vegetarian options are also available at each meal and snack. At The Green Elephant we cater for breakfast, morning tea, lunch, afternoon tea and a late snack. Our meals and snacks are healthy, tasty and fun. We encourage tasting plates, finger foods and meal times that children remember and talk about. We enjoy meals together around a table, creating a sense of community and belonging. The Green Elephant is a breastfeeding friendly centre. Our policy encourages mothers to continue breastfeeding as long as they wish. It is our belief that fresh, wholesome and nourishing food, along with an active lifestyle, a sense of belonging and plenty of opportunities to learn are essential for life long health and wellness.